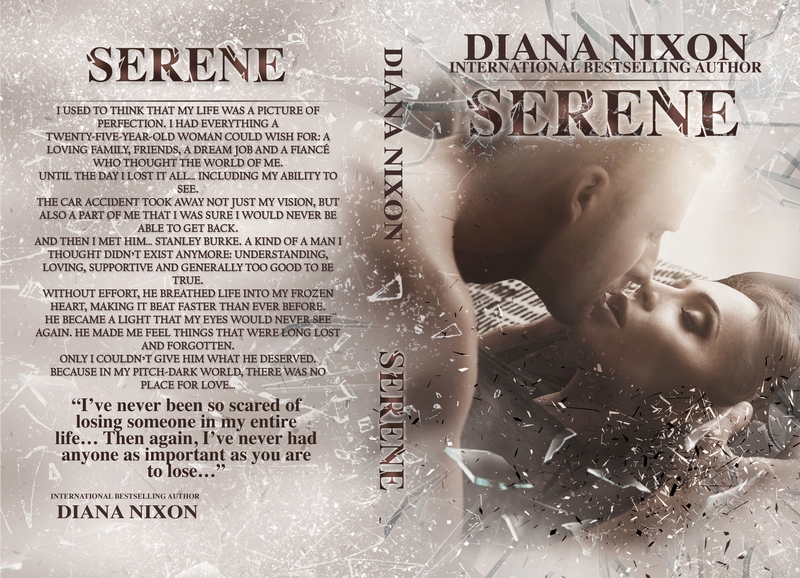 I’m part of the blog tour for Serene, the third book in Shattered Series by Diana Nixon. I will begin the day with an Interview of Diana Nixon. Carine: Was it hard to write Serene? And why? Carine: How do you choose your book covers and what you want to see on them? 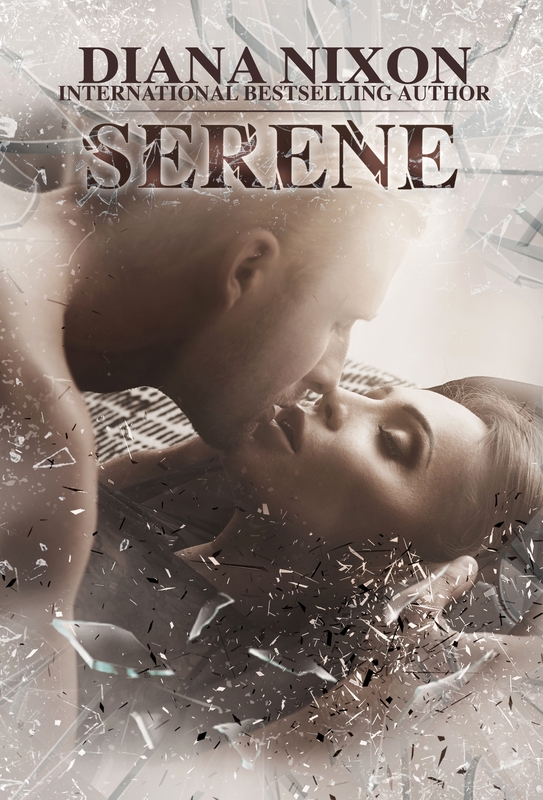 Carine: What are you planning to write now that Serene is done? Book two in a certain series??? Or a complete new story? Carine: You’re a writer & the editor in chief of Inks and Scratches magazine. How do you find time for your family? Do you possess super powers that I don’t know about? LOL I wish 🙂 The truth is – writing books and running the magazine – are the two parts of my full-time job. I know that if I don’t do the job, no one will do it for me. That’s why I try to make time for everything: writing, editing, publishing and the family. Family always goes first, of course 🙂 In my ‘fictional’ world, it’s about the priorities. I make mental plans (no writing ever worked LOL) for the week and try to follow them. Carine: What are your Christmas traditions? First of all, Christmas if my favorite time of the year. It’s something that reminds me of my childhood, family gatherings and magic that can’t be found anywhere else. I love everything about Christmas, from decorating the house and choosing presents to attending the annual evening mass in the church. It’s something that makes Christmas real for me. The atmosphere, the carols, the people around you, singing and being one huge family. There’s also a tradition of making a Christmas wreath, with the four candles that we lit up every week before Christmas – it’s one of those traditions that help me feel the upcoming festivities. Carine: Have you ever thought about writing a Christmas novel? Carine: When are you going to come to France? Your favorite question, of course 🙂 Coming to France is one of my plans for the nearest future. I’ve been there before, but never as a writer attending book events. Carine: What kind of a book would you like to write in the future, another romance or maybe something completely different? Carine: What are you reading now? I have so many books in my to-be-read list, I don’t know what to read first 🙂 And how to find more time for reading LOL I know that Vi Keeland is about to release another book and since I’m totally in love with her writing, I think her new book will be my next read. Carine: What kind of music are you listening in general or when you are writing? Thank you for answering my questions, and I’m so impatient to read Serene, only one book from you this year and it’s not enough for me.